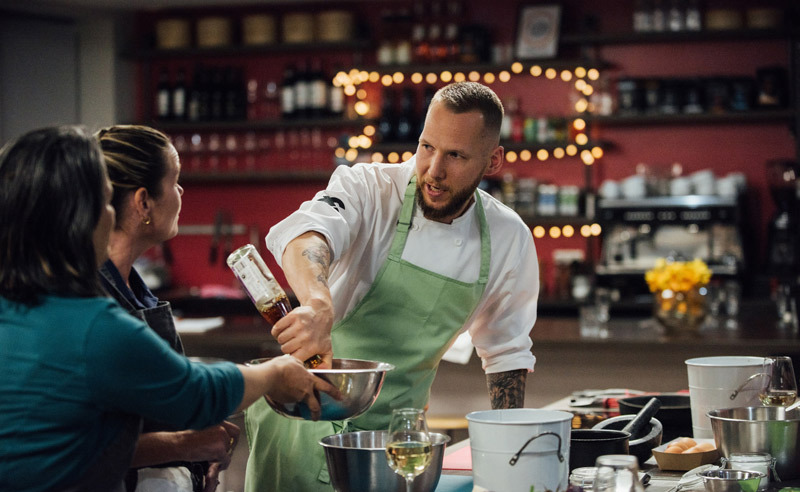 Cooking Together: a fresh take on a night out – included in Manchester Confidential’s Top 10 Manchester Pop Ups & Supper Clubs! 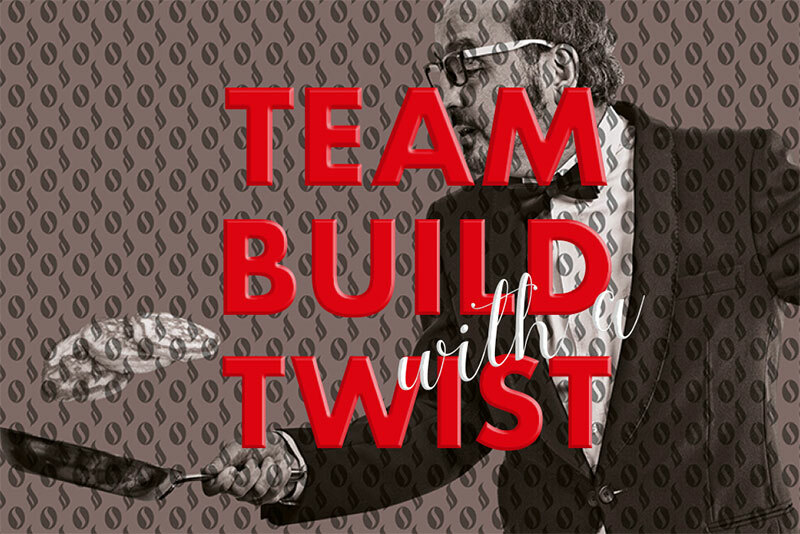 Ditch the conventional restaurant meal and have fun with your partner or friends. 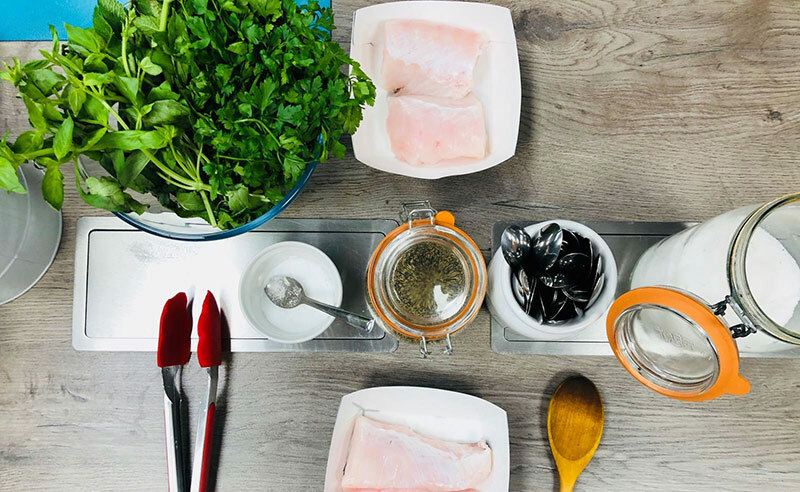 Become chefs for the evening, chopping, slicing, squeezing and peeling all the ingredients you need to produce a restaurant-style meal of your own creation. Our Cooking Together events are as much about chatting and relaxing as they are about learning and eating. The evening is led by Chef sharing his knowledge and love of food, offering a sprinkling of tips and tricks along the way. The evening is topped off with appetizing ways to present your dishes so you can take Instagram-worthy foodie photos of the fruits of your labour! 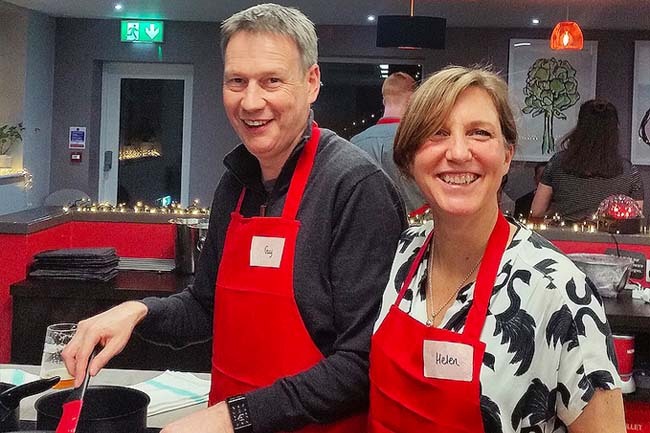 Cooking Together nights can be exclusive for groups of ten or more – if you have something in mind, get in touch. Chef will demonstrate a first course for you to recreate in your pairs and then enjoy together around our communal table. There follows a demonstration of the main course before it’s your turn to cook again. While you enjoy your meal, Chef will prepare a delicious pudding. Some example menus are below. Please feel free to make requests in advance of the event. Food Sorcery ingredients are seasonal and locally sourced and a vegetarian option is always available. Second Dish – the main event will feature meat, fish or poultry (veggie options always in stock) and some seasonal veg and appropriate carb. This may be traditional, globally inspired or invented… go with it! Pudding –Chef-made so you can relax and enjoy your meal. Opt for the classics or something more adventurous for example melting middle chocolate puds, sticky toffee, or even a soufflé. A complimentary glass of wine or beer on arrival (soft drinks also available), and the food you prepare. Copies of the recipes will be emailed afterwards. Most importantly, you don’t even need to do the washing up; all the fun, none of the work. We have a fully stocked bar with some amazing wines, beers and spirits to enjoy during your evening. A range of soft drinks are also available. These can be purchased using card or cash. An updated and accessible BBQ course that will give you the skills to cook on the open flame with confidence. Take your place as pit master for the day and whip up some classic BBQ dishes to your preference wth friends and our friendly group. 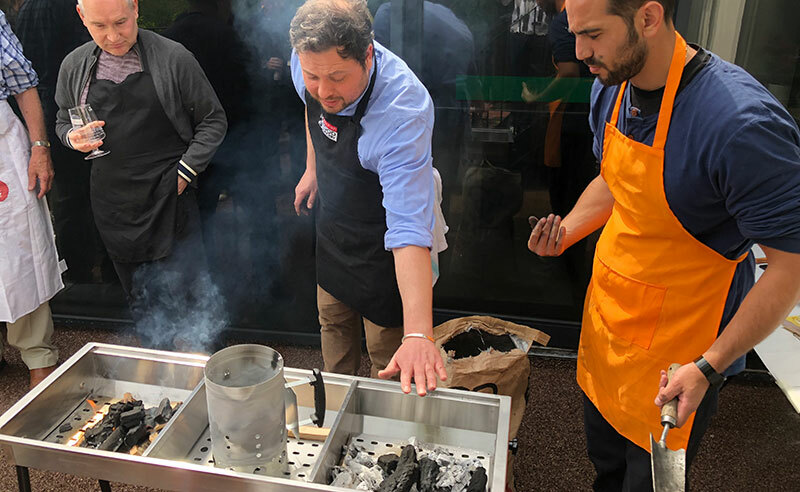 This event is about enjoying the BBQ experience (yes we have a bar) with a focus on developing core BBQ skills of fire control, meat and vegetable, preparation and cooking. We will also touch on spicing and marinading to achieve specific goals. Allergies and dietary requirements can be catered for if we know in advance. Fire lighting, maintenance and fire control with a charcoal fire. The importance of good quality meat, where to find it and what to do with it. You will be shown how to prepare, season and butcher the meat or fish you will be cooking. You will then break into groups to prepare your own meat ready to BBQ. You will be shown how to make Kebabs and flavour with herbs and spices and the sides that go with it. You will then break into groups to prepare your own kebabs (bespoke to your tastes) and learn how to shape, skewers and cook like a pro (bye bye takeaway). Demonstration of the art of the BBQ salad – this will hopefully inspire you and open the door for you to make many delicious salads of this type to impress and delight your friends and family. 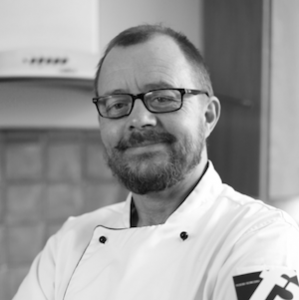 The course leader has an extensive repertoire of dishes of different types and styles of food you can cook on a BBQ with different flavours and influences from around the world. First Dish – Meat, Fish or Chicken – focus on preparing larger pieces of meat or whole chickens or fish for optimal results over the open flame. Kebabs – Learn the secrets of delicious and intensely flavoured kebabs, served with sides (which you will learn to prepare) and flat bread. Complimentary glass of wine, lager or beer and the food that you will prepare with the spices. Recipe sheets and a record of what you made and the spices you used with advice on where to source spices, meat and charcoal. We have great bar with fantastic beers, wines and spirits to enjoy throughout the day. These can be purchased with card or cash. If you would like to book an exclusive event we can do this for groups of ten or more. We can also customise the menu for exclusive events. If you get a buzz out of coffee, then this is perfect for you! 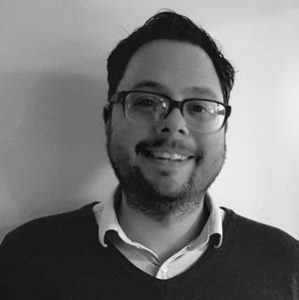 You will learn some fun facts and even a little bit of science about your favourite drink from Gavin, who has been a professional barista for over 15 years. 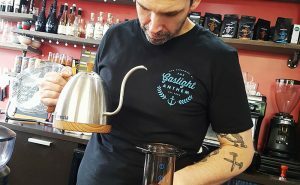 He will explain the differences in techniques used to make the perfect coffee, advise you on what will work best for you at home and even how to use all the kit that you bought and have tucked away in the back of the cupboard. There will be plenty of opportunity to practise your skills and you will even try a little latte art to impress your friends! 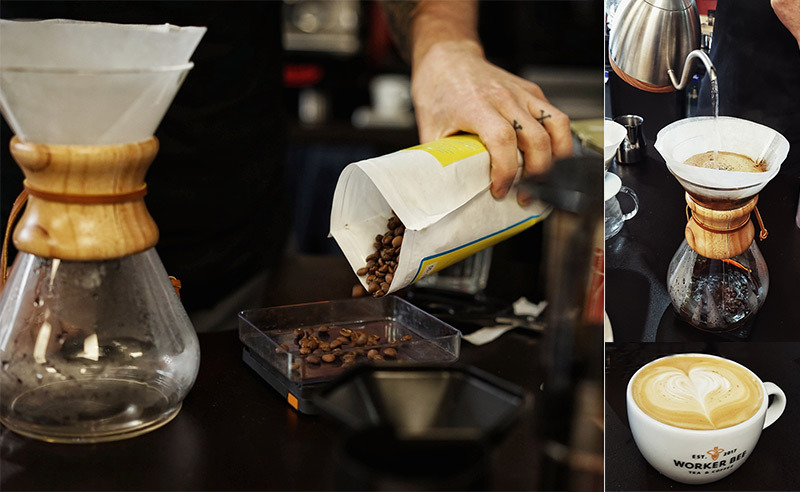 Making the perfect cup of coffee at home. Lots of coffee and some nibbles! Sri Lankan food has parallels to South Indian food, yet it remains distinctly its own form of cuisine. Throughout years of colonisation and influence from other countries, Sri Lanka has adapted its food culture into a blend of different curry concoctions and tasty dishes. 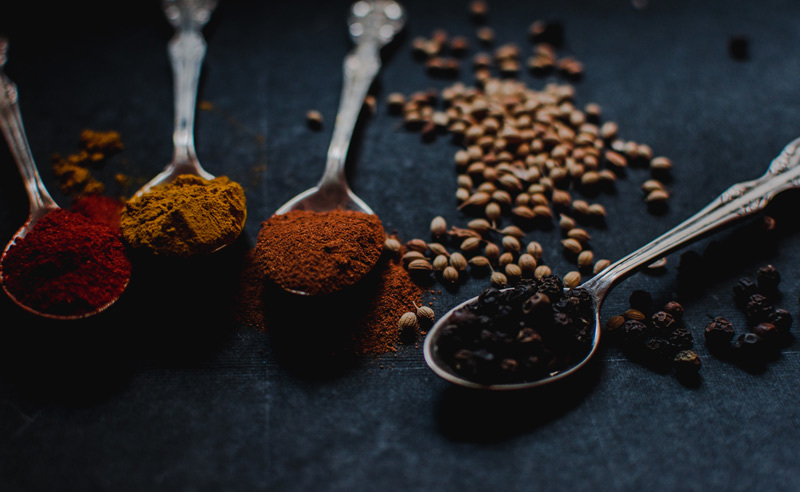 In this class you will immerse yourself in Sri Lankan cuisine, creating a selection of dishes which you will then enjoy eating together, it’s a friendly sociable class and you get to take home any left overs. Our 3 hour class allows ample time for demo and hands on cooking. All ingredients are provided and you will both eat during the evening and take home extra’s. 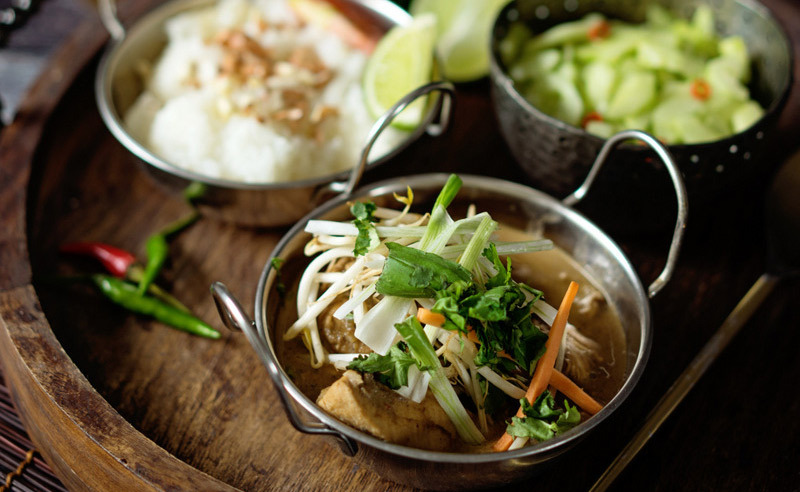 During the session you will look at three individual dishes – recipes will be sent to you via email after the event. All classes can be adapted to suit allergies and dietary requirements. 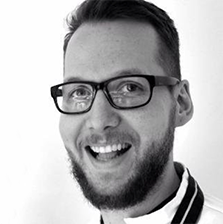 Chef Jan Cron spends his time researching different diets – the pros the cons and then more importantly how to make it taste great while obeying the rules! If there is a specific diet you are interested in, please let us know. 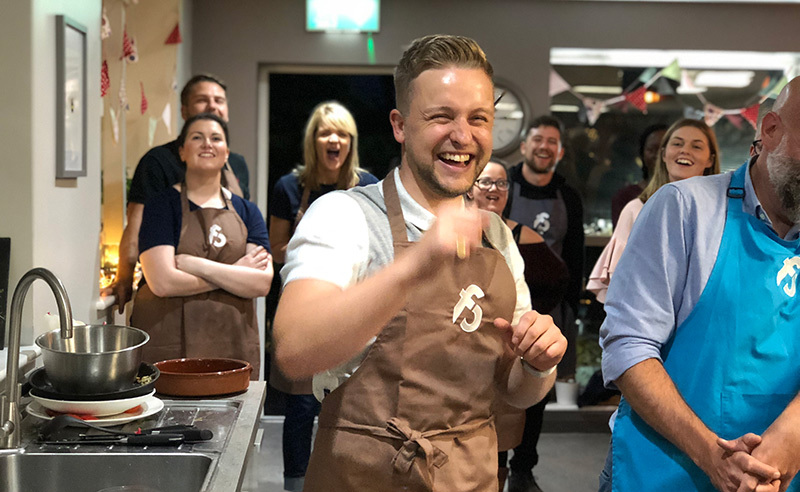 Food Sorcery Cookery and Barista School, Didsbury, with views over the river, easy transport links and a Hotel, pool & gym onsite, it's the perfect place to have fun with food, learn tips and tricks from experts and to gain cooking confidence. Our unique Cooking Together Friday nights are a fresh take on dining out, ditch the conventional meal out and cook your own!